Another month over and for once I don’t actually feel like it’s flown by too quickly! Which is surprising as we have managed to squeeze so much in. Instead it’s just passed me by at a nice steady pace. More months like this one please? 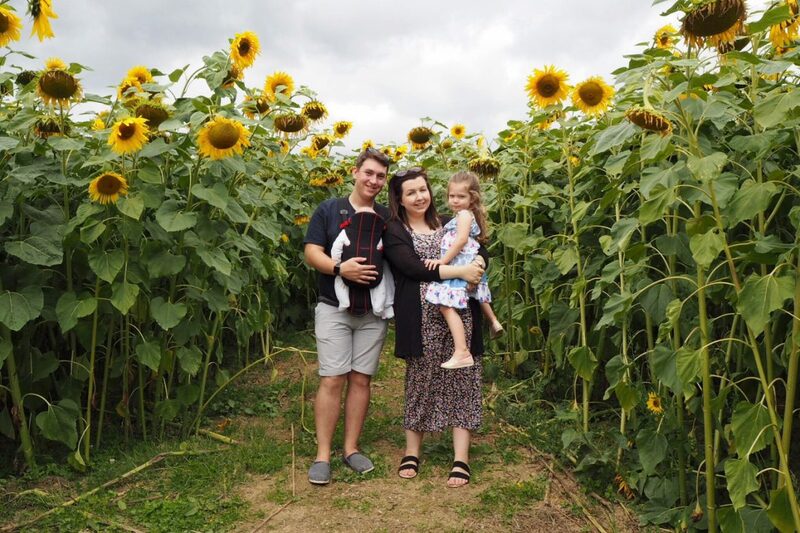 We’ve had lots of family time during August and made so many lovely memories. I’m definitely ending the month with a very full heart and just feeling really quite content with life right now. It feels like we have really settled into our new family dynamic as a four now. Life before our little Hugo Bear feels like a distant memory. He has slotted in so perfectly and we all absolutely adore him. During August we have visited both Scotney Castle and Sheffield Park, two of my absolute favourite National Trust places. 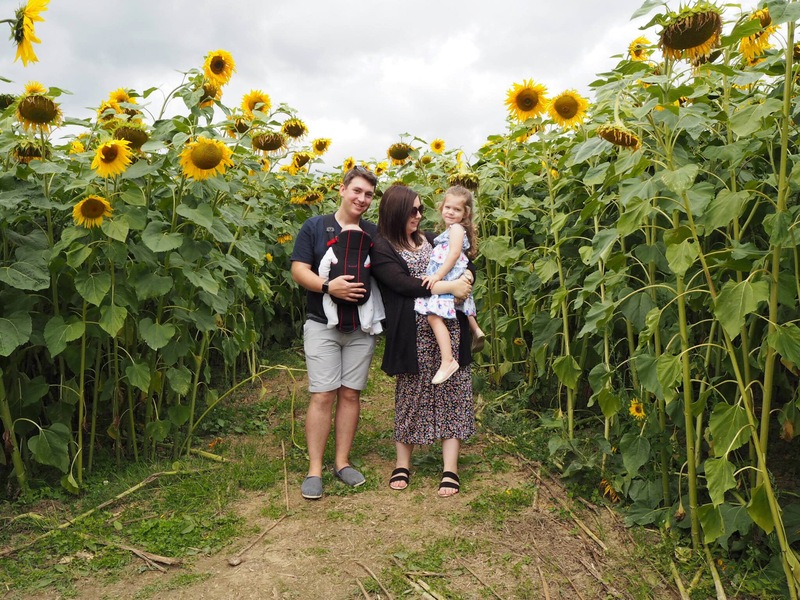 We also spent a lovely morning at the Sunflower Maze with my Sister and her family, which is where we took this months photos! I love them so much and will definitely be heading back next summer so we can recreate them. Josh has had the last week off of work and apart from his paternity leave I think it’s the first time ever he has taken time off just to spend it at home rather than going away. We have all really enjoyed having him at home this week. 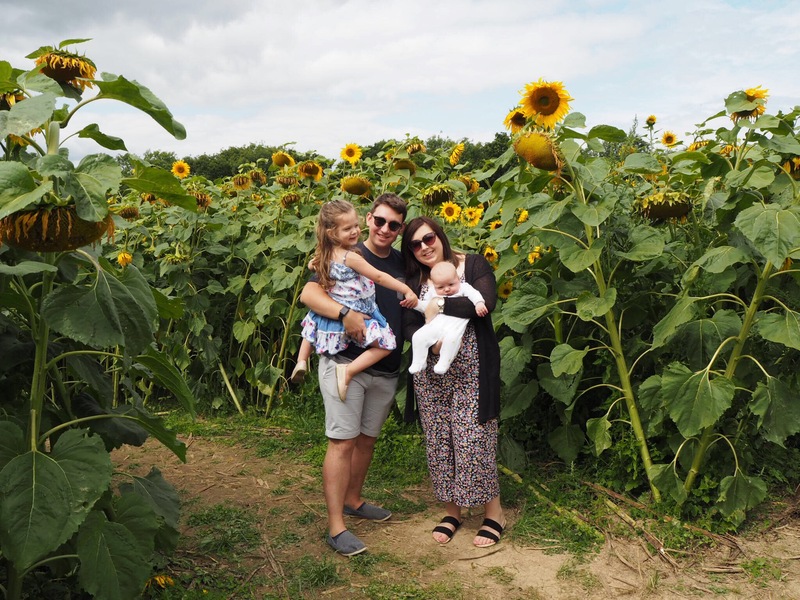 And just this week alone we have been for a walk at Ashburnham Place, brunched at Bills, taken Bella swimming and spent a day at Knockhatch adventure park. It’s been a busy month but one I will look back on with lots of fond memories. Normally by the beginning of September I am more than ready to embrace all things Autumn, but not this year. It’s been such a special summer and I am desperately clinging onto these last few sunny days. 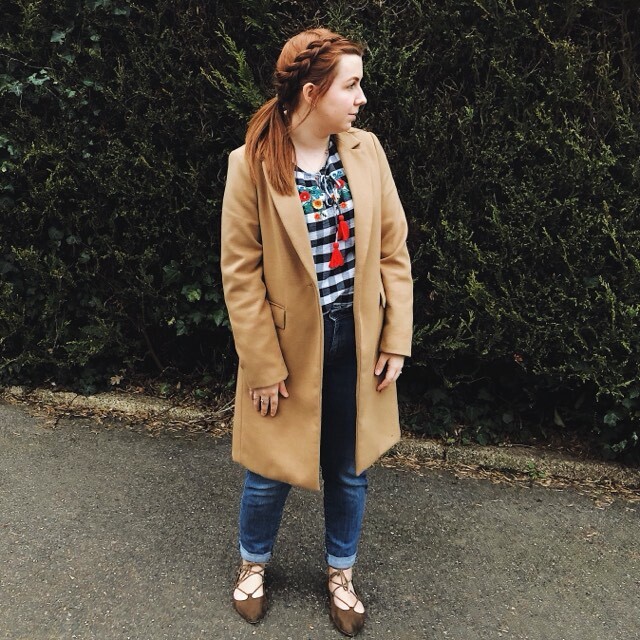 I am sure by the end of the month I will be all about the chunky knit jumpers, autumn leaves and hot chocolates. But not quite yet! A sunflower maze! Oh wow! 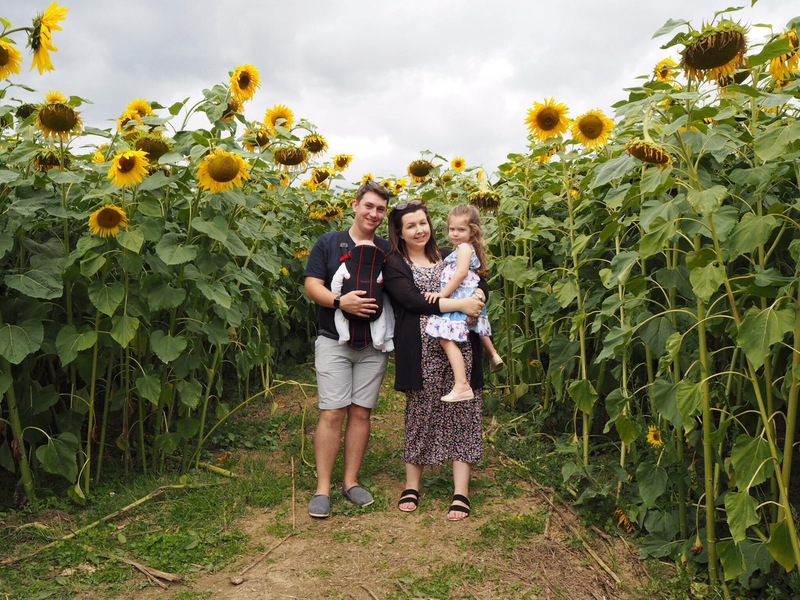 We were in France in July and everywhere we went were the most amazing fields of sunflowers. They were absolutely incredible… obviously we had to get some photos in them! I didn’t know there was anything like this in the UK…. although typically quite far from us here in Cardiff! !